HAPPY NEW YEAR! Welcome to the first day of 2016 and all its untapped potential and mystery (and on a Friday, nonetheless!) I’m am 100% one of those people who gets the “post-holiday” blues and to help alleviate that, yes, I still have the Hallmark channel’s Christmas movies playing on the TV and Spotify/iHeartradio tuned on to Christmas stations (Christmas tree up till February, anyone?) Christmas came way to early and left all too soon and now we’re on to a new year. I am ready for 2016 though, that’s one thing I won’t be lamenting. However, the blog isn’t ready for 2016. Over the next couple of weeks, posting may be a bit spotty, so make sure you’re subscribed to my mailing list so you’ll get notified when a new post goes up! I will be posting something pretty ground breaking on Monday though, so stay tuned! Until then, enjoy this last long holiday weekend with some loved ones and celebrate the beginning of a new year! Welcome 2016! Now go load up on black eyed peas and greens! 20 lovely things you can easily do! This is a pretty stellar list! Are you really feeling the right thing? You deserve to have it! Wow, this was wonderful! Just be. Don’t let go, but just “let it be”! Unless you’re constantly using it directed at someone in a hurtful way, cursing isn’t bad. Maybe you should slow down and just live. Yea! Perfect! Things things are wonderful! I don’t think you ever will with any of these. Maybe it’s just me, but I hate the word “goal” in the first place. It’s about the little things (although some of these seem pretty big). If you are setting goals, make them something to feel good about! For when you’re on your run and ain’t got nowhere to go! It may be time to panic all you smoothie lovers! I need the washable keyboard! I already love eating the cauliflower leaves! I love all this stuff! Pizza Hut looked so sketchy! Omg! You can get your own! You won’t outgrow it can be a tough pill to swallow. That’s why it is an autoimmune disease, not an allergy. It’s so important for any celiac at any age. + How Do New Bloggers Avoid The Naughty List? Well organic Facebook reach used to be my “thing”. + Why Is Facebook Engagement Suddenly Dropping? Well see now, that’s not the case for me (edited: now it is…). Keep it safe guys and gals! There have been way to many hackings going on. I will be doing an audit on this for 2016. I always think it would be fun to do one just for fun! Break those bad blogging habits! As the year has come to an end. We talked about updating this a few weeks ago. So here’s more help! Well I didn’t read any of these, but I did read some good ones! Wow! I’ll be keeping this in mind! + Why Is There An “R” In Mrs.? This just makes me so angry. I could talk about this for hours. 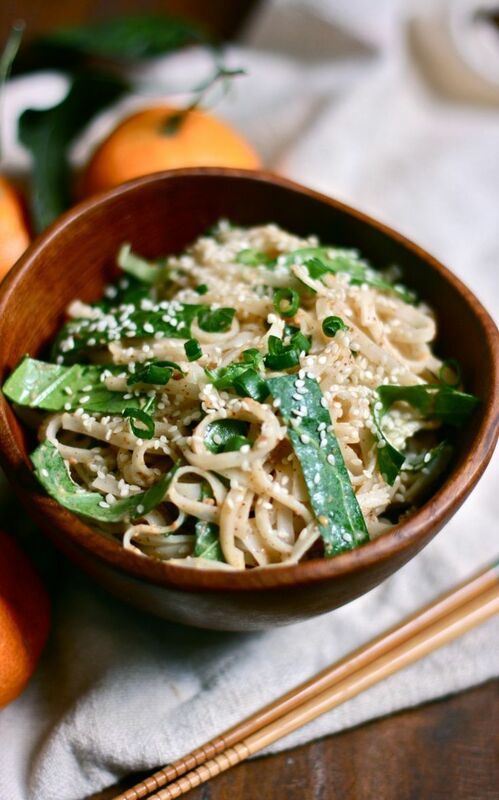 Ginger and Mandarin Noodle Bowl. This long noodle bowl will sure bring you luck! 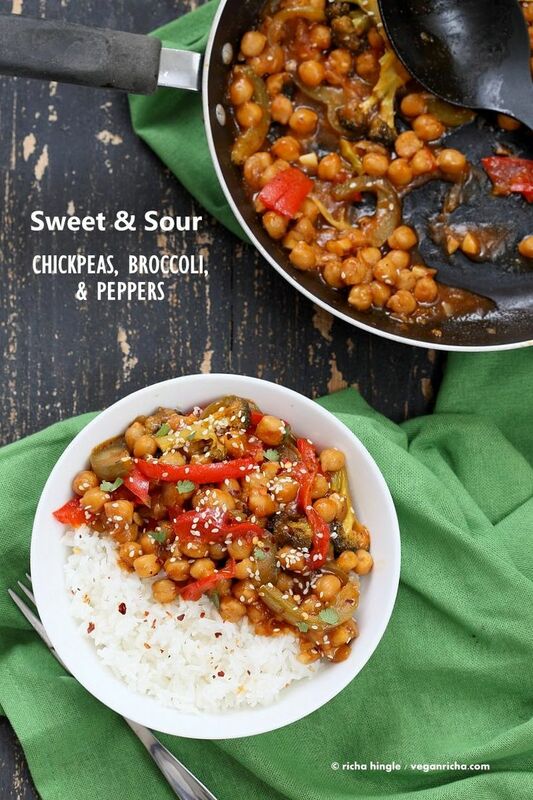 Sweet and Sour Chickpeas, Peppers, & Broccoli. Sweet and sour love! 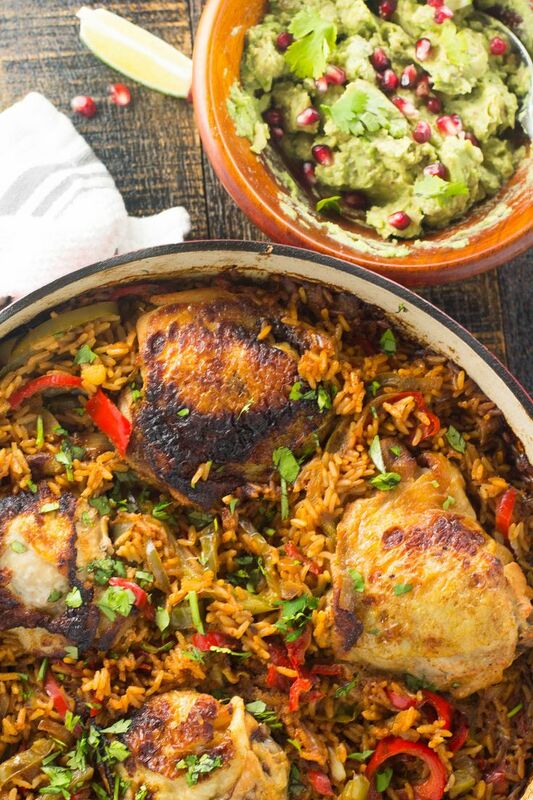 One Pot Chicken Fajitas and Rice. This meal is such a great idea! 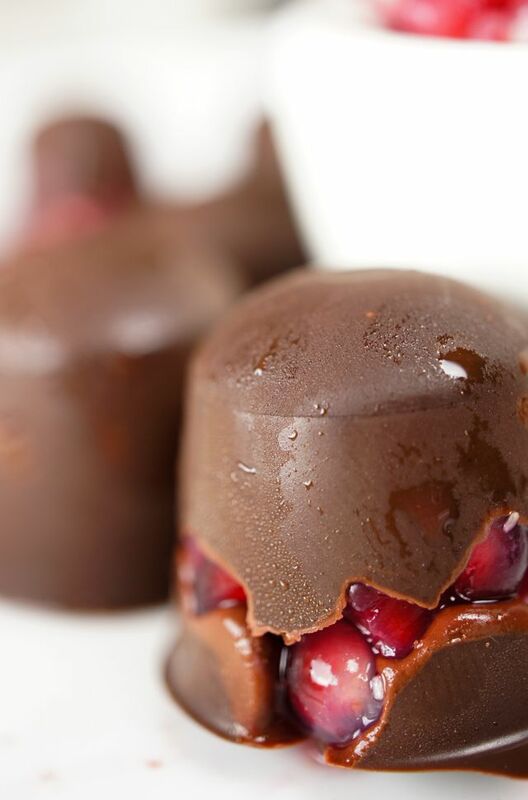 Pomegranate Dark Chocolates. Now these are the perfect little healthy candies to have on hand! 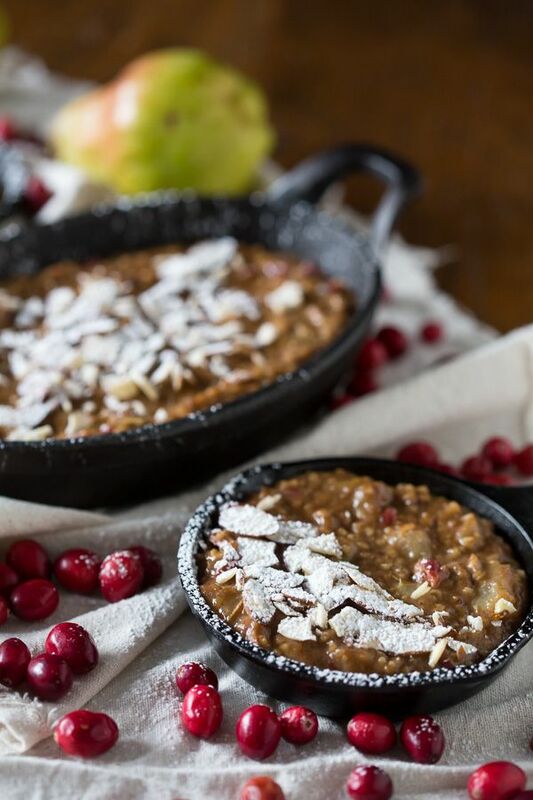 Cranberry Pear Baked Steel Cut Oats. Just a perfect warm winter breakfast! 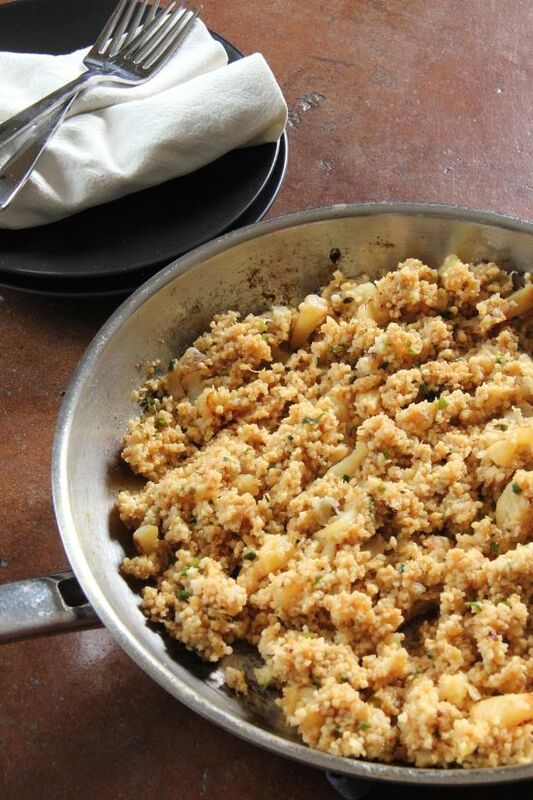 Pineapple Fried Millet. Not feelin’ the rice? Use the next best gluten-free grain! 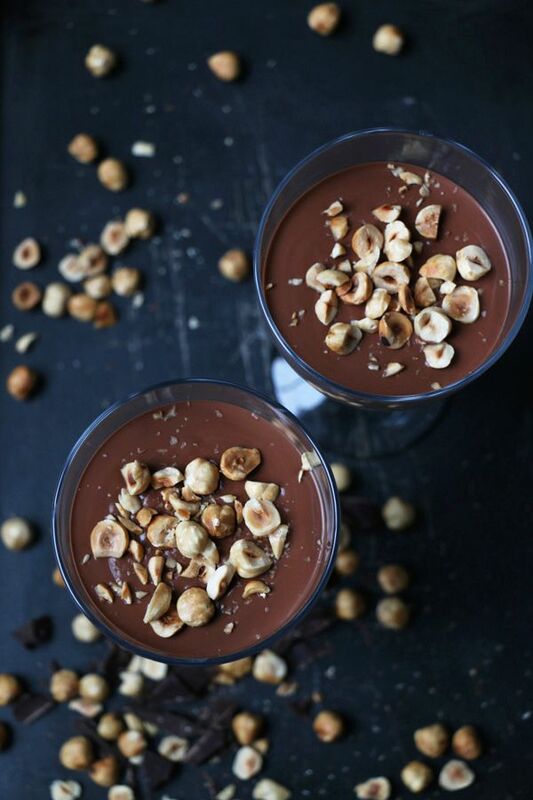 Hazelnut and Chocolate Mousse. Isn’t this one beautiful chocolatey dessert!? + Diving into another new book. (Night Film, by: Marisha Pessl), a little weird, but keeping my interest! + Have you subscribed to my email list? + How was your New Year’s Eve celebration? What are you up to today? + What was your #1 highlight from this holiday season? The workbook seems pretty interesting! I need to take a closer look myself! Haha! A washable keyboard would solve a lot of my problems! That’s quite a little list of posts there that are going to keep my busy. So many helpful blogging links today! Thank you!!! Blogging posts are in abundance right now as people are trying to “amp it up” for the new year! The “How To Choose A Linkup” article was very interesting! I have cut down on linking up and the article gave me even more to think about! I am setting mini-goals or striving for creating new mini-habits in 2016. I am going to set one (and blog about) each month. The goals/resolutions posts went along with much of my thinking! One of the posts said “Let’s figure out a better way to think about setting goals so they can really serve us.” Focusing on small mini-habits is what I have found to be most helpful! Most of them are such a waste!! (And bloggers just don’t know how to run them anyway! Not that hard!) Haha! Totally! Anything that’s much more doable in an actionable way and we can easily implement (i.e. the small things) are the most effective for making lasting changes! i love that you got a kitchen aid! and i love that you are soaking up this new weekend! with loved ones. and I love ALL these links. 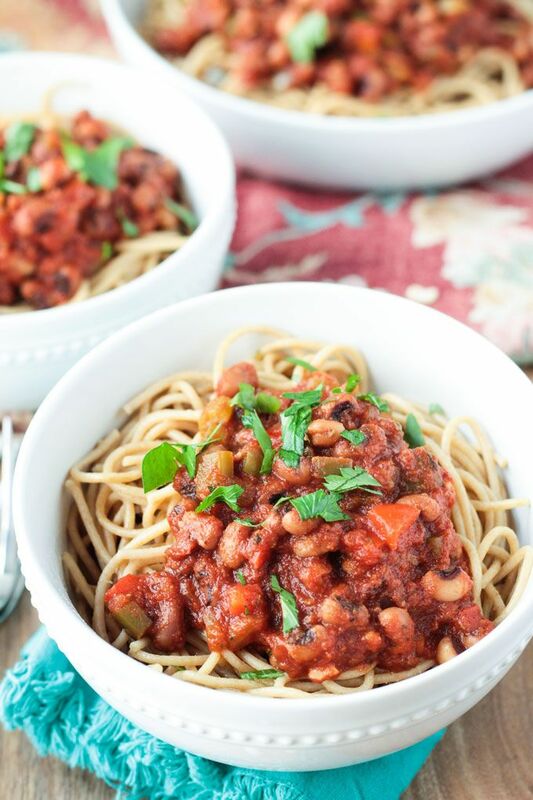 I need to try your black eyed peas and swiss chard next! OMG those pomegranate chocolates!! INSANE! I love your Friday Finisher posts. Always so many great links! They look like such a perfect “pop in your mouth” healthy treat! Rebecca, You list is always my favorite place to spend some serious couch time, you have the knack for finding the coolest stuff. So, I had to be picked up off the floor when I saw your tweet, I couldn’t click over here fast enough. And there is was, in all it’s glory! Thanks so much for the shout out! We all do so much to future our blogs and find other bloggers to read and love, I want to make sure the time I’m spending is doing the right stuff for all included. Anyway, I sure hope that you are having a great New Year thus far, yes, Christmas was here and gone so quickly, too quickly! I’m settling in to watch a bunch of fun stuff over the weekend, Hallmark? Perhaps! Thanks for starting off my New Year with a bang! Haha, thank you dear, that means a lot that you love these posts and I’m more than glad to feature you! You can bet I’ll be visiting your blog much much more!!! I can’t believe I’ve been missing such amazing content from one awesome lady! I am mourning that fact that Hallmark isn’t playing Christmas movies at 4am now….ahhhhhh! I had no idea what channel to put on this morning! I love your Friday finishers! I have to be honest, I too am a Hallmark junkie but I was disappointed this year. Perhaps because I watched far to many the year before and I only had one new one per week to look forward to ha! We kept it low key last night but are looking forward to see where 2016 takes us, personally and professionally! I think I feel the same way! They didn’t play some of my favorites at all, and they seemed to play the same old ones over and over everyday. They didn’t rerun the new ones much after they aired…But still I can probably act them out word for word now 😉 I have them playing right now! Happy New Year, Rebecca! 🙂 Have a magical 2016! I think my post on Monday will cause a few more “banana deaths” if you will 😛 But you’ll be happy! I’ve been snacking on popcorn every day now! You should have seen me the first time I tried it. I didn’t know what to expect so I was holding a huge bowl waiting for it to all some shooting out! Fun, fresh, and delicious! Happy New Year! 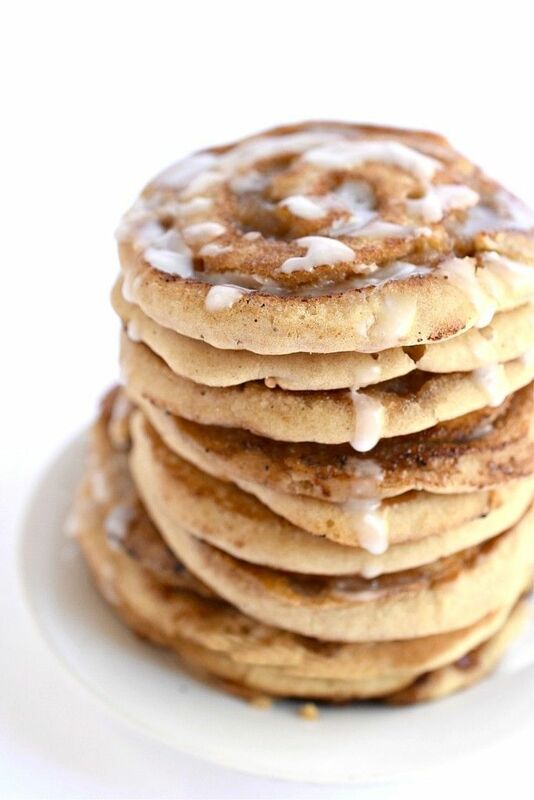 Those pancakes are calling my name! It’s hard for me to pick a highlight 😉 But graduation was pretty awesome. I actually have time to read all of these today… Yay for lazy days. Happy new year! I’m going gluten free in the new year to see if I have an allergy, so those links were very interesting to me! Happy New Year, Rebecca! Happy new year! Look at all the great links! I hope you have a great day.